"With this discovery, we humans are embarking on a marvelous new quest: the quest to explore the warped side of the universe—objects and phenomena that are made from warped spacetime. 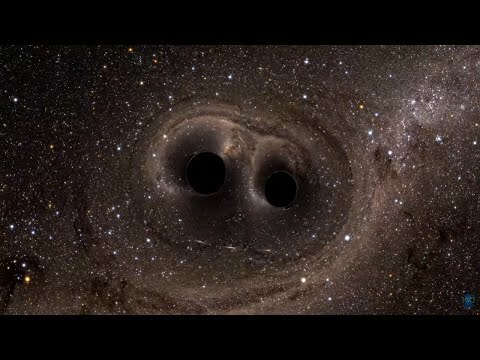 Colliding black holes and gravitational waves are our first beautiful examples," says Thorne. 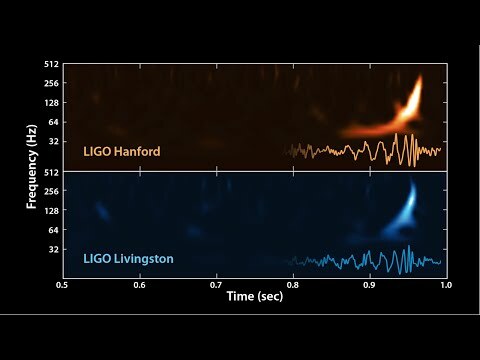 The plots show signals of gravitational waves detected by the twin LIGO observatories. 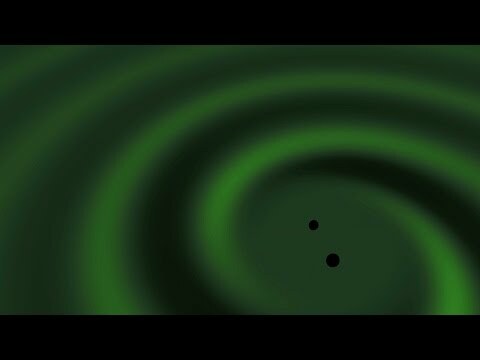 The signals came from two merging black holes 1.3 billion light-years away. The top two plots show data received at each detector, along with waveforms predicted by general relativity. The X-axis plots time, the Y-axis strain—the fractional amount by which distances are distorted. 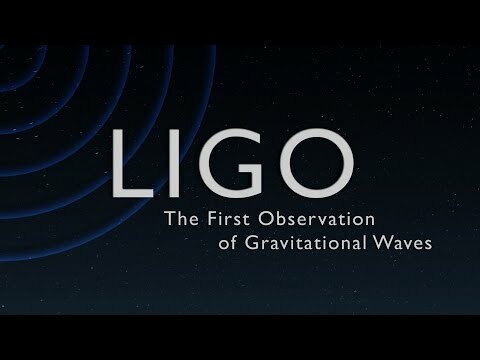 The LIGO data match the predictions very closely. The final plot compares data from both facilities, confirming the detection.